North Wall Quay - Dublin, originally uploaded by infomatique. The Dublin quays refers to the two roadways and quays that run along the north and south banks of the River Liffey in Dublin, Ireland. The stretches of the two continuous streets have several different names, however all but three of the names (Swift's Row, Bachelors Walk and Usher's Island) share the same "Quay" designation. 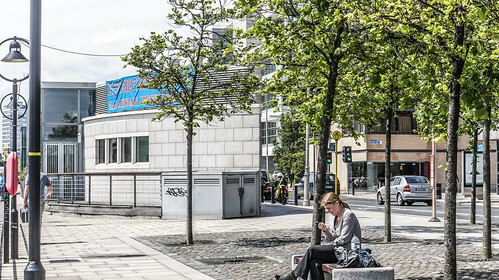 The quays have played an important part in Dublin's history.